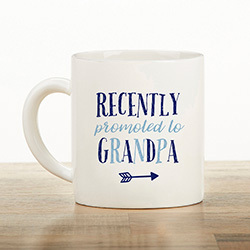 Give him a gift for grandpa that celebrates the best promotion he's ever had! 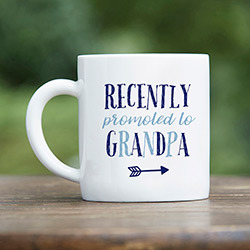 Kate Aspen's Promoted To Grandpa Mug is a coffee cup that holds a full 16 oz. 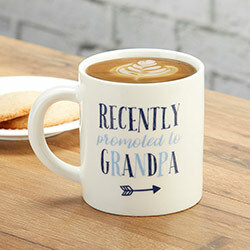 of any comfort beverage, and a vessel to sip from while he watches his new grandchild make him proud with each new milestone. 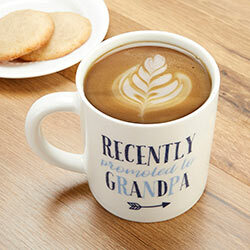 The mug uses a combination of white, navy, and light blue with a "Promoted To Grandpa" message, and resting just under that text is a fun small blue arrow design. 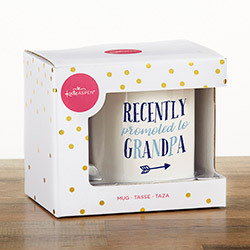 The porcelain mug is built to last with regular gentle hand wash care! 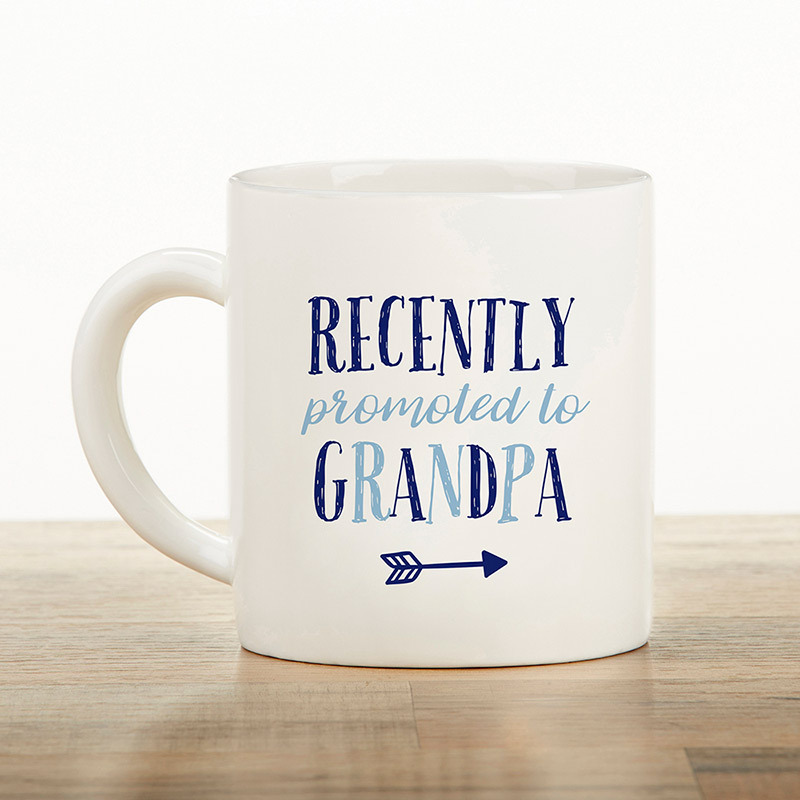 "Promoted To Grandpa" text printed in light and navy blue on a white ceramic mug. A navy blue arrow icon is located under the text. Mug holds a full 16 oz..